The more service providers you work with, the more likely you are to suffer gaps in your supply chain. That's why companies looking for maximum efficiency often decide to partner with a single-source logistics provider. A single-source provider is a third-party logistics (3PL) company that manages your whole supply chain, or a discrete portion of that operation. Rather than contract individually with motor carriers, ocean carriers, drayage companies, warehouse operators or other service providers, you rely on one partner to oversee all your logistics needs. That arrangement puts one highly capable company in charge of the myriad moving parts that make up a supply chain. You don't need to worry about slippages that might occur, for example, if a trucking company and a warehouse operator don't communicate clearly about pickups. Your partner ensures smooth operations throughout. If something does go wrong—a shipment runs late or a product gets damaged—the lines of responsibility are clear, and you know exactly who to call to get the problem solved. Do you want an asset-based provider? 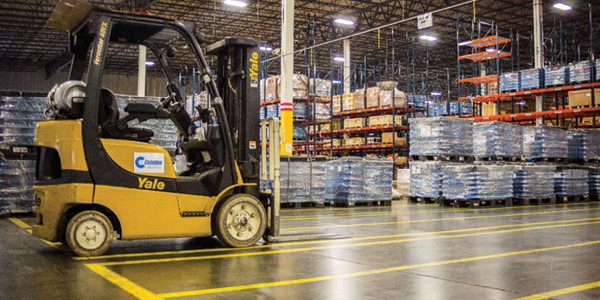 When your 3PL owns its own trucks, warehouses or other assets, your freight stays in one company's hands, giving you an extra level of security and reliability. But you might pay a bit more for this advantage. A non-asset-based or asset-light provider might offer greater flexibility, allowing you to take advantage of different transportation modes as needed. Decide which values are most important before you ink a deal. What are your requirements for visibility and reporting? Do you need to track your freight in real time, or will daily updates suffice? Which key performance indicators (KPIs) do you want your provider to track and report, and at what level of detail? Can this partner measure performance across every link in your supply chain? What value-added services are you looking for? Stripping containers, cross-docking, kitting, sub-assembly—whatever you need, both now and in the future, make sure your provider can deliver. How can your logistics partner help you improve and grow? Not only can an experienced single-source provider manage your supply chain as it runs right now, but based on your company's initiatives, it can also recommend strategies for strengthening your operation and becoming more efficient. Your partner should review your processes periodically—your packaging, warehouse activities, transportation routing, and modal choices—and recommend ways to re-engineer your operation, making it even leaner and more effective than it is today.